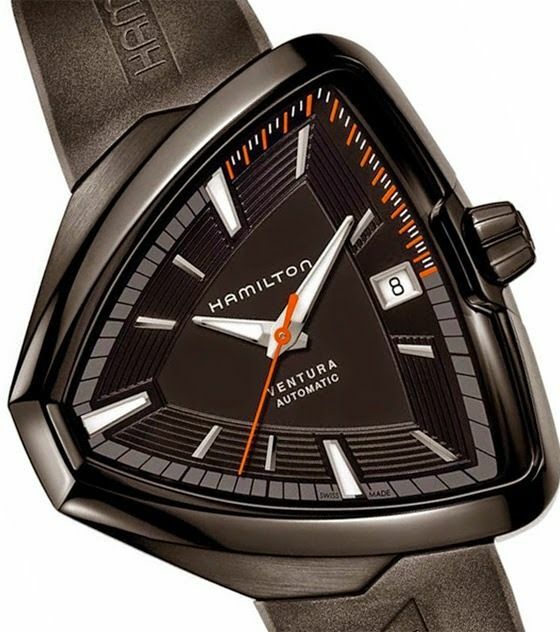 At Baselworld 2015, the American brand Hamilton presents the Hamilton Ventura Elvis 80 collection, in celebration of the anniversary of the birth of Elvis Presley. 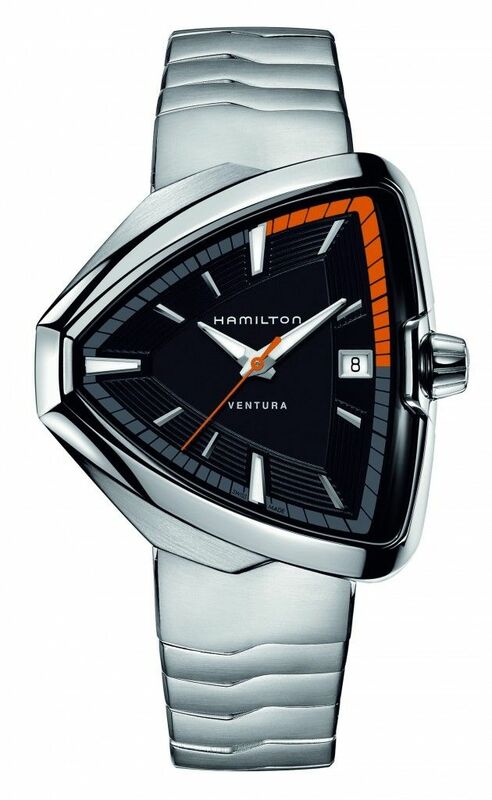 In 1957, Hamilton produced Ventura, the first battery powered clock in the world and many were fascinated from its shield shape. 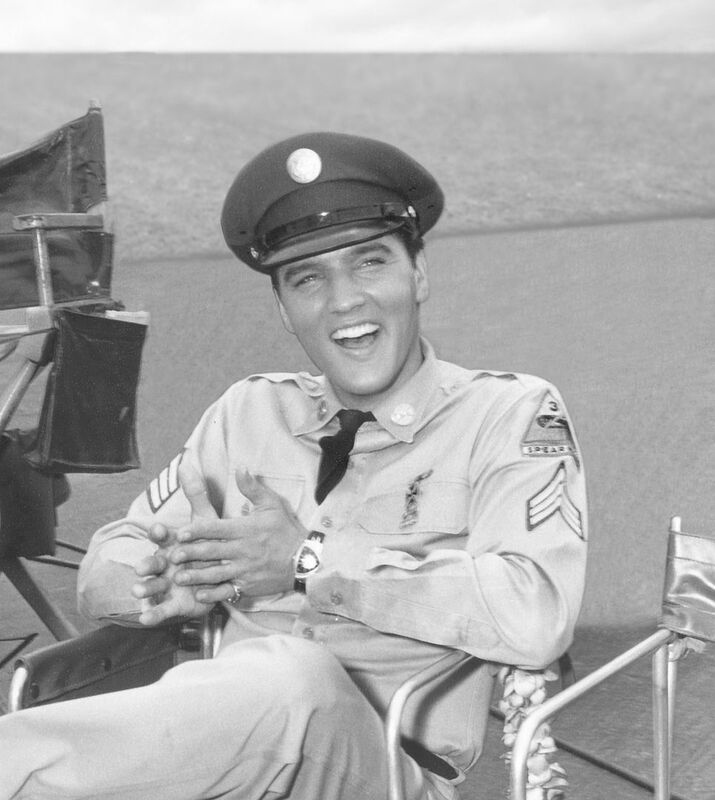 Elvis Presley was impressed and decided to wear it in the film Blue Hawaii, 1961, consecrating its fama. 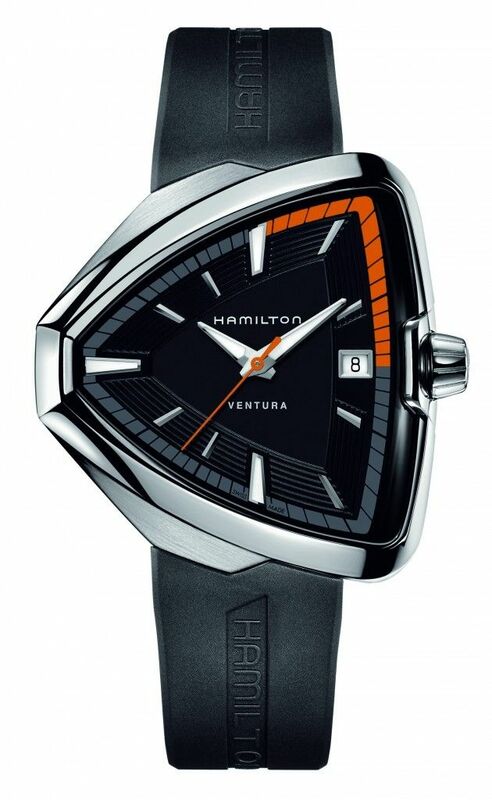 Inspired by the legendary model, but in a futuristic key, Hamilton is now offering new models Hamilton Ventura Elvis 80, available with automatic movement and quartz. The occasion is the birthday of the legend of Rock’n’Roll, which would have turned 80 the 8th of January. The design is characterized by the striking box-shaped shield underlined by refined surfaces polished and satin in the mechanical model. The cracked glass, case and dial enveloping curved make it a modern and captivating watch. The new timepiece both measure 42.5 mm x 44.6 mm. 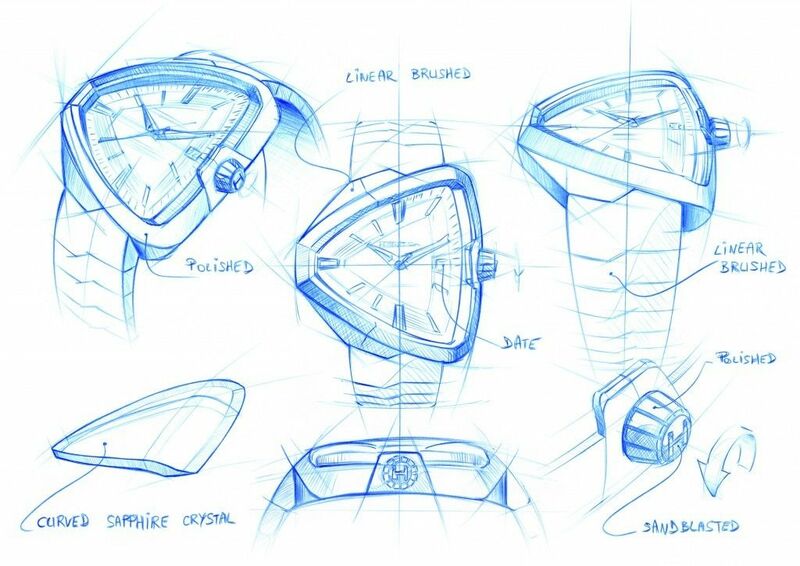 The dial is framed by lines parallel triangular, while a raised base trapezoidal adds depth to the watch. The quartz model has a steel dial, while the spheres have the hours, minutes and center seconds. 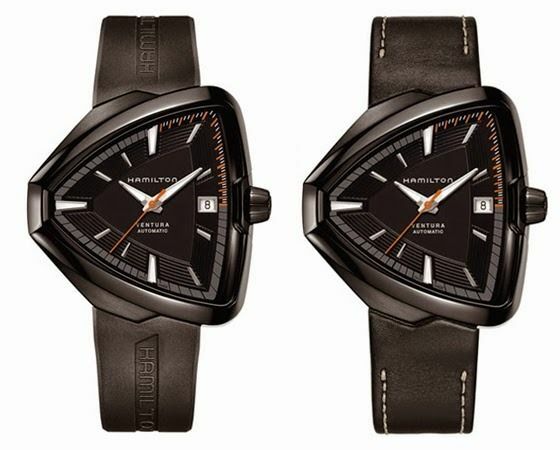 The automatic model “Powermatic 80” is powered by the movement of H-10 Hamilton and has a power reserve of 80 hours. The case of this model is in PVD, with a choice of sporty rubber strap or leather strap with contrast stitching.